The Mathison family spans four generations as orchardists and farmers in Washington’s Wenatchee Valley. 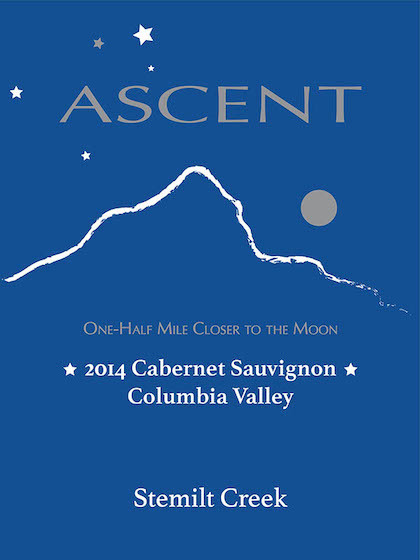 Their vines are well into their second decade of existence, and with the guidance of winemaker Richard Hood, a graduate of University of California-Davis, Stemilt Creek recently launched Ascent, a tier tailored to its wine club. This robust Cab is extremely expressive, starting with toasted oak and caramel, cherries and chocolate, joined by sage and grilled meat. The entry is bold with Bing cherry and chocolate-covered blueberries, which lead to long and sweet tannins. Notes of roasted coffee lead out with a pleasingly juicy finish of blackberry. Their wines are poured at their downtown tasting rooms in Wenatchee and Leavenworth.